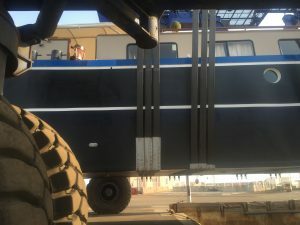 Many people think what when the barge is not cruising ; it is just sitting there waiting for the new season to come …. 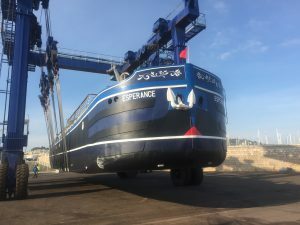 But no , there is much to do ; for example this winter esperance went in dry dock in Sete during 5 weeks . 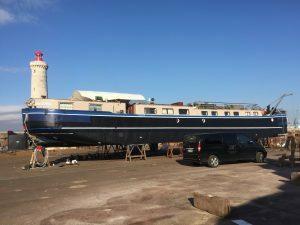 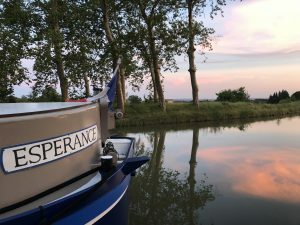 After a very successful season on the Canal du Midi, our luxury hotel barge Esperance went back to her winter mooring in Capestang last Tuesday . 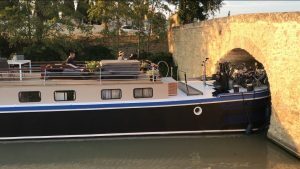 We are very happy and very proud about this private morning just in front of the very well known and beautiful bridge of Capestang . 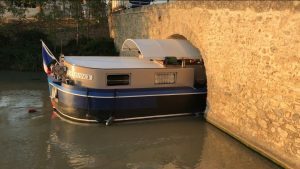 It is the lowest one on the entire canal system in France . 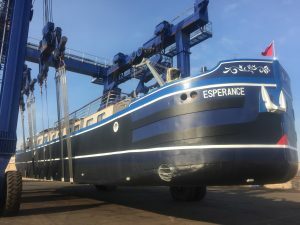 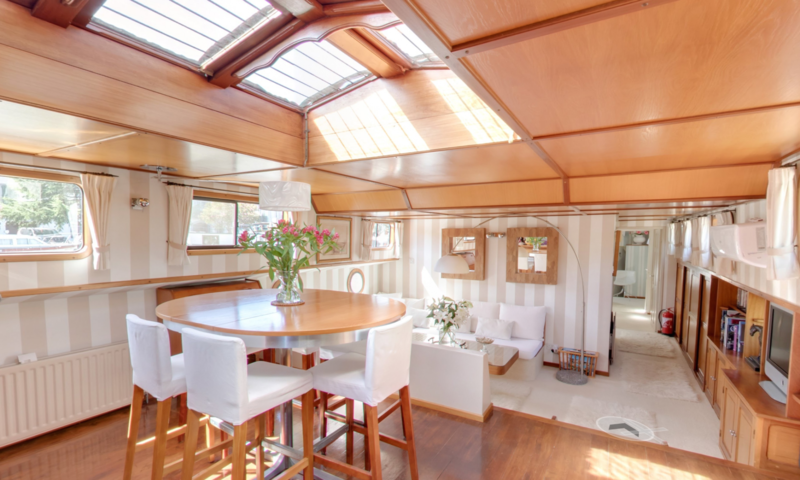 This is a short presentation about our Canal barge Esperance . 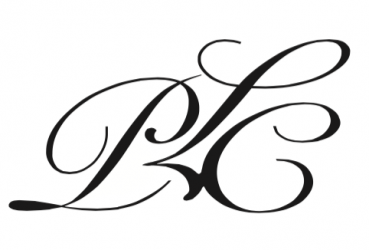 Do not hesitate to contact us for more details or special requests .